For those of you who follow my Instagram you might recall that I went to Paris on my old Pashley earlier this month and spent a week exploring French bakeries and the bread that they produce . I had a few comments before I left about the French being inconsiderate drivers, but truthfully I had a lovely time, and found the Parisians, contrary to myth, very courteous and I enjoyed every minute. I even managing to visit a few old haunts from when I lived there in my late teens. I met bakers Anna Trattles and Alice Quillet who aside from producing some of the most delicious breads, muffins and sandwiches I can recall eating, have carved a business that is built on work life balane. Their approach to bread, it is actually a fusion of San Francisco, British and French with a bit of a twist and it is far from French. The bread is outstanding and much to my amusement, this is a bakery that is challenging the way the French think about their most basic of foods. I loved the way that Alice laughed as she recalled some of the comments that she and her business partners received when they first opened the Ten Belles Bread bakery and coffee shop. “People were outraged”, she says. They were asking “why don’t you have baguettes?” and told us “it’s unacceptable, this is France”. But after just a few months of making great coffee, sandwiches, tarts and pies, the bakery has settled itself into the neighbourhood and is popular with both locals and visitors to the city. The team behind Ten Belles Bread – Alice, her husband Anselme Blayney, and friend Anna Trattles, bring a mixed heritage to their bakery. 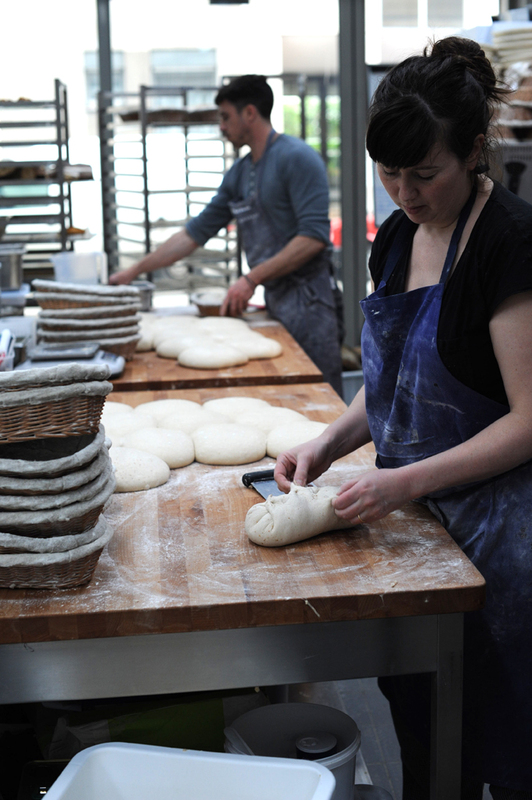 There are French, English and Irish influences in their food, along with ideas that Alice brought from Mirabelle bakery in Copenhagen and Tartine in San Francisco, where she staged before opening Ten Belles Bread. It was important, Alice explains, to develop a work culture that allowed them to work hard but still have time to spend with their families at weekends and in the evenings. And they have succeeded in creating an atmosphere, which is both welcoming and relaxing for customers, and where it is clear that the staff really enjoy their work. Although baguettes may not be the main focus of the bakery, they do bake a range of fabulous breads. Alice is a self-taught baker who cites Richard Hart, head baker at Tartine, St John and Bread Ahead as inspirational while she was learning. 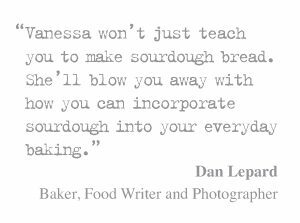 Her determination to master the art of sourdough bread pushed her to contact bakeries that she really admired around the world. “I think when you’re self-taught, you have to surround yourself with people who are more knowledgeable than you” she says. 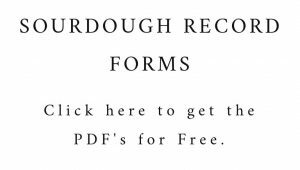 This approach paid off, and the bakery now produces fabulous sourdoughs. The loaves are often studded with seeds or sprouted grains – sesame and nigella seed sourdough and oat, flaxseed and sprouted rye berry sourdough are some of the specials. Then there are golden brioche buns, dark Danish-style rye loaves and pillowy focaccia. In the café, the food reflects the British and Irish backgrounds of the owners, and also the fact that they have all worked at Rose Bakery, possibly the best known “British” café in Paris. Their distinctive breads are showcased through a menu that features some delicious sandwiches. There are four options; focaccia, brioche bun, toasties and rye bread (on a Friday – Friday is rye day!). The fillings change regularly, but are always focused on big, bold flavours – egg mayonnaise with lime pickle and toasted almonds, feta with spinach, marinated beetroot and tomato chutney, or ham with roast endive, mayonnaise, parmesan and rocket. “Anna has a thing for pickles, so we do tend to have homemade pickles in practically everything” says Alice, adding that this adds an extra layer of flavour to the sandwiches. If you’re looking for something other than a sandwich, there are plenty of options. Seasonal pies, soup served with chunky slices of sourdough, generous slices of cake and scones. As you would expect from a Parisian bakery, there are glamorous fruit tarts too. Enjoy a slice of lemon, plum and berry tart or fig, hazelnut and pomegranate. And to cater for the growing interest in ‘Le Brunch’ in Paris, there is a weekend brunch menu featuring bacon butties, granola served with fromage blanc and compote, and savoury breakfast buns – swirls of dough encasing ham, cheese and spinach or bacon, chives and Comté. The quality of the coffee served at Ten Belles Bread is just as important as the food. 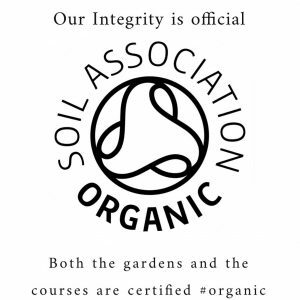 “Sometimes you find places that have good bread, good food or good coffee” says Alice, “the idea here was to have a more holistic approach to your lunch or breakfast”. Coffee comes from the Belleville Brûlerie roastery. Anselme, who knows a thing or two about coffee, was involved in setting up this micro-roastery, and is at the heart of a movement bringing great coffee to Parisian cafes. Alice explains that there has been something of a coffee revolution in Paris, with more coffee shops sourcing their beans from specialist suppliers. Now, she feels, it’s time for this approach to be applied to bread making. 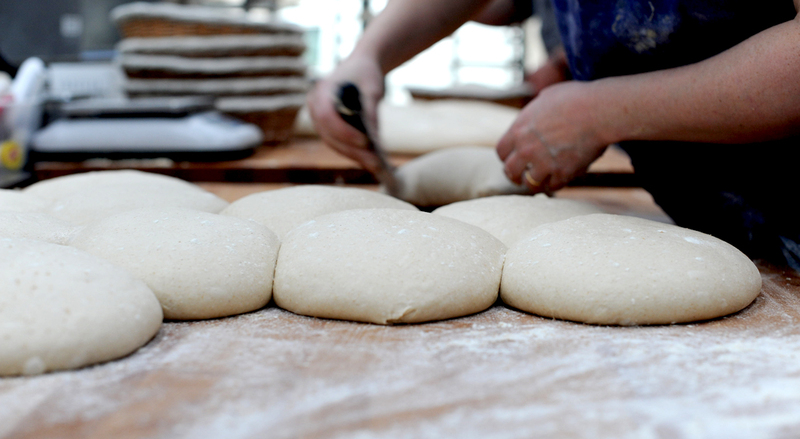 I loved that Alice has started using heritage flours in some of her breads. 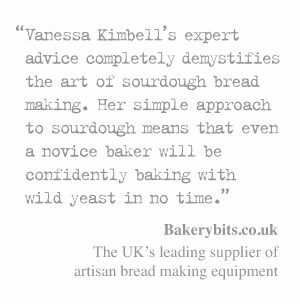 She says that she was perhaps slightly reluctant to use these flours when she first started baking, because she’d heard they were difficult to master. After a chat with a miller at a food festival, she was sent some samples to try, which was enough to convert her to the flours. Now enthusiastic about the possibilities of heritage grains, she is working on recipes using Rouge de Roc flour. 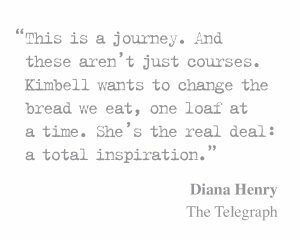 The move towards heritage flours, reflects her interest in encouraging French bakers to be more forthcoming in giving customers information about the provenance of the ingredients they use. Alice feels that while people are now asking their butcher and greengrocer where the chicken or vegetables they are buying came from, there is still a reluctance to ask the same questions of bakers. Although, she says “I think that’s slowly changing in France – I hope it is”. 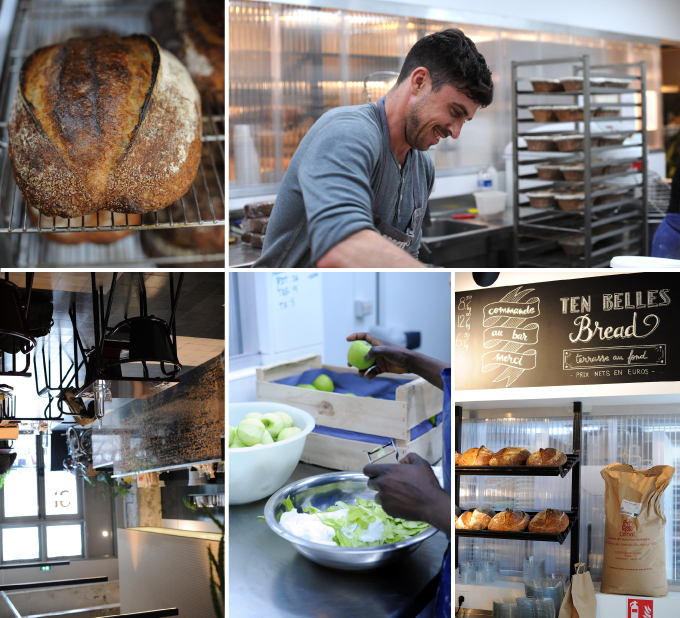 It will be one of my first stops next time I am in Paris – Ten Belles Bread is the perfect place to relax, grab a book off the shelves, and enjoy some utterly delicious sandwiches or the Anglo French hybrid cakes and bakes. Pull up a chair and order a coffee and with a friend or simply pop in and watch the bakers, busy at work, in the open kitchen. 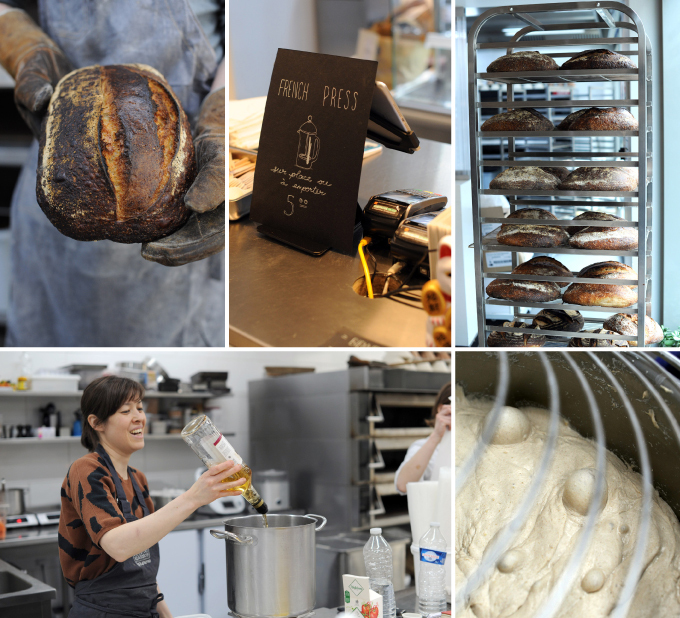 Share the post "Ten Belles Paris – challenging the way the French think about bread"
Hi. Lovely blog. Rouge de roc direct descendant of seteli doli the great Georgian wheat. The home of wheat. hace poco tiempo que descubrí tu blog y estoy encantado de haberlo hecho. Los artículos, los consejos y todo lo que se incluye en cada página son sumamente interesantes e ilustrativos.